A loan application letter is written to by an individual who requires finances to cater for a specified need. The lender uses the information in the letter to establish the eligibility of the applicant for the loan. In the letter, you should indicate the amount of money you require besides how you will spend the money. It’s essential to remember not all individuals who apply secure the loan. Therefore, how can you make sure you craft the best letter? A sample or template is the best option to get an idea of the language to use and the format. Why you need the loan: When applying for a loan, you must include the reason for asking the loan in the letter. Describe how you will use the credit. The reason for the loan can determine if the lender will approve the loan or not. Truthful information: False information might be the reason the lender will not approve your loan application. The loan application letter should only contain genuine details. Avoid the temptation of lying to your lender. Remember, these individuals can figure out if you are telling the truth or not. Amount required: You can’t apply for a loan without stating the amount of money you need. Be specific in your demand. You must be reasonable when applying for a loan. You must explain in details how you will use the money. Highlight how you will repay the money: The lender must understand if your present financial status can support repayment of the requested loan. No lender will approve a loan if the borrower doesn’t have a stable way of repaying the loan. Address the letter to the right person: Before writing your letter, research to know whom to address the letter to. You need to know if you will address the letter to the bank branch manager, loan officer to your human resource manager. I have been an account holder in your bank for the past six years. Through this period I have maintained consistent cash flow in my account. I am planning to take a loan of (amount) for (reason for the loan). I will repay the loan in a period (duration). Kindly find all the relevant documents attached to this letter as per your requirements. In case you need more information, let me know. I will appreciate if you process the loan soonest. I am thanking you for your assistance. I have had a savings account with your bank for the last sixteen years. 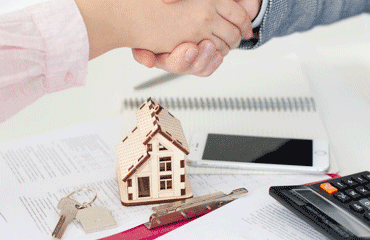 I want details for a mortgage loan to finance the process of acquiring a home for my family. I work with the state department of health as a tax compliance officer. You can verify these details from my account. Currently, I have already identified a house that is worth $90000, and I believe my current income can finance the project. If you can send one of your sales representatives so we can discuss and agree on the finer details, I will be glad. I already have the relevant documentation in place. I await a favorable response.